The latest research on cannabis shows how cannabigerol, or CBG, may help relieve symptoms of overactive bladder and similar disorders. Scientists tested bladder contractility in specimens of mouse bladders as well as human bladders, and found CBG reduced contractions. 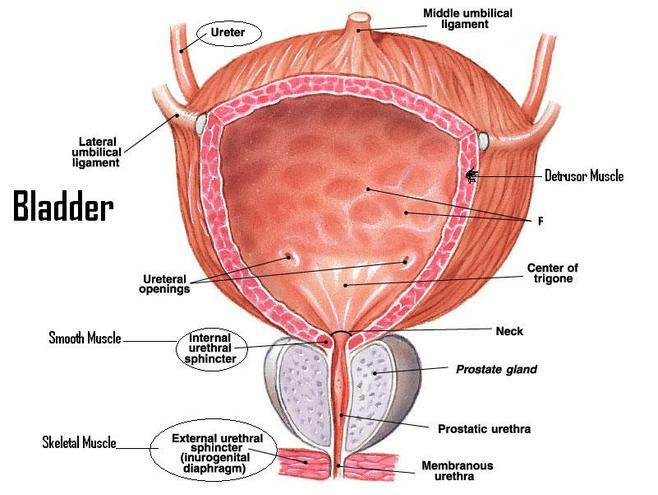 Lowering bladder contractility improves symptoms of those suffering from urinary incontinence. In previous research on cannabis used to treat overactive bladder, a clinical trial on patients with multiple sclerosis and Neurogenic Detrusor Overactivity showed that administration of a high-THC cannabis extract improved urinary incontinence by 25 %. A 25 % improvement is enough to make anyone’s life noticeably better, but that also came along with the potent psychoactive effect of the high-THC extract. While many cannabis users enjoy the feeling of being high all the time, people who never touched the stuff in their lives may not feel the same way. For this reason doctors have gone to great lengths to investigate other non-psychoactive cannabinoids that are still just as safe and non-toxic as good ‘ol THC. CBG, the naturally forming metabolic precursor of THC, CBD and CBC, has seen an increasing amount of scrutiny in the medical research field because it doesn’t get patients high. Researchers in this latest study also tested THCV, CBD and cannabidivarin (CBDV). They found all of these non-psychoactive cannabinoids improve bladder contractility, but CBG seems to be the most powerful, with THCV coming in at a close second.